A document dating back to 1093 attests to the fact that in that year the “de Meregnano” family was granted authorization to cede one of its churches in Calvenzano to a Cluniac community which transformed it into an abbey two years later. 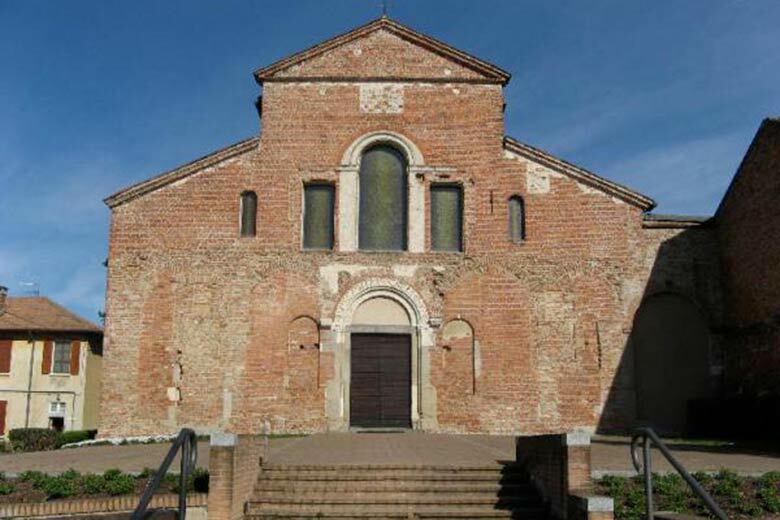 The terracotta used for the Church of Santa Maria in Calvenzano is of Lombard origin. The portal of its late 15th century facade still retains a number of 12th-century reliefs. Also particularly worthy of note is its apse which still hosts a fresco dating back to the middle of the 14th century. Legend has it that in 524, Roman philosopher Severino Boezio was actually executed here. The church of Santa Maria in Calvenzano is open for services on Sat. at 6pm and on Sun. at 9am/11am/6pm. Guided tours are available on request (info@inagrocalventiano.it).